For many pet owners across America, amputation is the only way to save a dog or cat from a crippling accident, neglect, abuse, birth defects, attacks from other animals, or, most commonly, bone cancer. When faced with a veterinarian’s diagnosis of a life-threatening disease or a limb riddled with pain, many pet owners are shocked and uncertain about whether amputation is the right course for their companion animals. 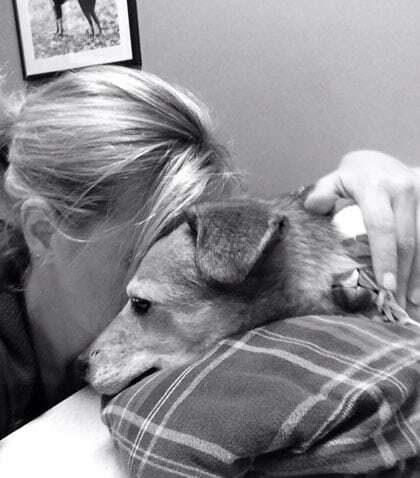 Cancer alone affects one out of every three dogs, and one in every four cats. Unbeknownst to thousands of pet owners, amputation can dramatically reduce pain and extend the animal’s life by months or even years. However, such procedures are costly and frightening–often more so for the owners than their beloved pets. 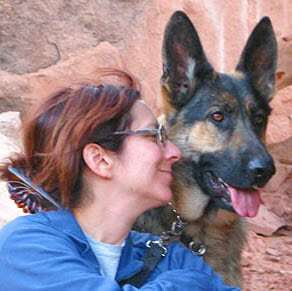 In early 2014, the creators of Tripawds incorporated the Tripawds Foundation (the “Foundation”) as a Texas nonprofit corporation, and simultaneously launched Tripawds.org, the charitable arm of the Tripawds Community.The primary goal of the Tripawds Foundation is to maintain the infrastructure required to host and manage the ever growing public-benefit Tripawds Community—the leading online resource center for guardians of amputee pets to find guidance, veterinary information, and support, at no cost. As an online support community, Tripawds specifically provides free resources to individuals whose dogs or cats are facing amputation and/or cancer. The Foundation serves to maintain an educational forum, as well as a resource for animal organizations and shelters with needs related to amputee animals. 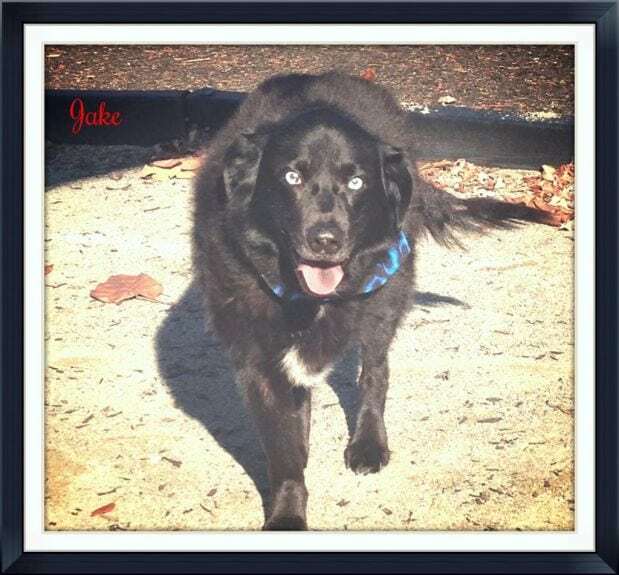 When sufficient funds are raised, the Foundation plans to fund additional projects that will assist tripawds and the people that love them in as many ways as possible. See all current assistance programs and how you can help. Tripawds Foundation Directors serve on the Board of Directors, which meets a minimum of once per year, and more frequently if needed, in person or by conference call for as long as needed to complete all agenda items. The Board is responsible for overall direction and management of the Foundation’s activities and affairs. Each individual director acts to further the Foundation’s charitable goals and serves as many hours as necessary to complete his or her responsibilities. None of the directors or officers are currently compensated for serving. All board meeting minutes are available for public review. Jim is a professional graphic designer and marketing consultant. In 1998 he co-founded Agreda Communications, a full service marketing and design firm. Between 2000 and 2003 he served as president of the nonprofit Redwood Technology Consortium in Eureka, California and continued volunteering as a member-at-large until 2007. Today he volunteers as administrator and Chief Technology Officer of the Tripawds community. Self-employed since 1998, Rene is a freelance writer and communications consultant. She successfully manages administrative operations for her company, Agreda Communications while volunteering as manager and content developer for the Tripawds community. She was a founding board member and Secretary of a nonprofit technology advocacy organization in her former hometown of Eureka, CA and served as member-at-large for over 10 years. Previously, Ralph has served on two nonprofit boards and served as the President of a German Shepherd Dog rescue organization. He has a background in ethics and related issues having served a term on as well as chaired the Public Ethics Commission in Oakland, California. 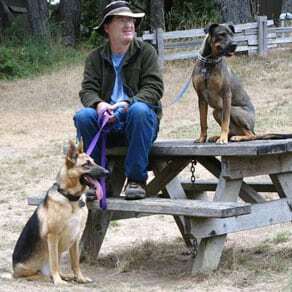 Ralph and his wife adopted their first Tripawd, Codie Rae in 2006, and currently have three rescued German Shepherd amputee dogs in their home. 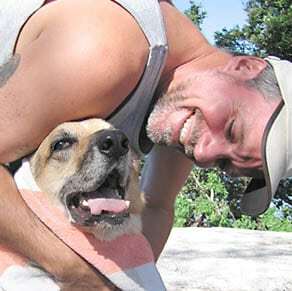 Rene Agredano and Jim Nelson, a married couple, are sole owners of the company Agreda Communications, a content publishing and product marketing firm which receives compensation for product sales and advertising at Tripawds.com. They are also directors of the Tripawds Foundation. The Foundation’s Conflict of Interest Policy is consistent with U.S. IRS Form 1023 requirements and was adopted by resolution of the Board of Directors at a meeting at which a quorum was present, on February 2, 2014. Registered Tripawds members may send a private message to Foundation Directors via the Tripawds Discussion Forums messaging system. Use the contact information provided to make charitable contributions by check or telephone. Please make checks payable to The Tripawds Foundation.